What are Fraud Red Flags? Fraud red flags refer to undesirable situations or conditions that consistently contribute to fraud, waste, and abuse of resources. When an investigator is reviewing the company’s stocks or financial statementsThree Financial StatementsThe three financial statements are the income statement, the balance sheet, and the statement of cash flows. These three core statements are intricately linked to each other and this guide will explain how they all fit together. By following the steps below you'll be able to connect the three statements on your own., certain undesirable characteristics may stand out as fraud red flags or contributors to fraud. All organizations face fraud risk, which can either be internal or external. Internal risks come from persons within the organizationCorporate StructureCorporate structure refers to the organization of different departments or business units within a company. Depending on a company’s goals and the industry which it operates in, corporate structure can differ significantly between companies. Each of the departments usually performs a specialized function who use their positions to enrich themselves by misappropriating resources and assets owned by their employer. On the other hand, external risks are engineered by government officers, customers, and contractors who may represent facts to obtain money illegally. Although it’s normal to lose a few items of inventoryInventoryInventory is a current asset account found on the balance sheet consisting of all raw materials, work-in-progress, and finished goods that a company has accumulated. It is often deemed the most illiquid of all current assets, and thus it is excluded from the numerator in the quick ratio calculation. while moving items, excessive inventory shrinkage may be an indicator of ongoing fraud. An auditor can detect inventory shrinkage by looking at the balance sheetBalance SheetThe balance sheet is one of the three fundamental financial statements. These statements are key to both financial modeling and accounting. The balance sheet displays the company’s total assets, and how these assets are financed, through either debt or equity. Assets = Liabilities + Equity, the number of products in stock and those sold and comparing them with previous records and projections. In certain circumstances, the auditor may do unplanned stock-taking on random days to detect any unusual characteristics. An organization may experience frequent cases of reported missing documents that relate to critical departments. When the frequency of occurrence becomes too often, it may be a sign of ongoing fraud within the organization. Some of the documents that are likely to go missing include register of motor vehicles, list of sales and purchases, checkbooks, inventory reports, etc. When such records disappear, it may point to an undesirable situation that may lead to loss of certain assets or money. There are cases when a company’s accounting department may erroneously process duplicate payments to a vendor or service provider. If the mistake was genuine, the officers involved ought to identify such errors and report so that urgent action can be taken. However, there can be cases where individual employees endorse duplicate payments to both genuine and fake companies. Some employees may even process payments to non-existent companies with the intention of defrauding the employer. To prevent such errors, all payments should be monitored and verified that they are going to the intended parties. A business in its growing phase may experience huge spikes in the number of invoices as it tries to carve a niche in the market. However, the high number of invoices creates room for fraudulent behaviors, as specific internal and external parties seek to profit from the rapid growth of the business. For example, there can be cases of unrecorded payments, or if they are recorded, they are understated in volume and amount. The organization should know when spikes occur and ensure all orders made by customers are recorded and fulfilled as they are ordered. Frequent complains about certain personnel or processes may be an indicator of fraud. When an organization receives repeated complaints about a senior executive, it should not assume that as usual venting. Instead, it should conduct investigations to identify the cause of the complaints, effects and any courses of action that they should take to make sure there are no more complaints. Also, customers may report frequent under-packing of products, where the products delivered to them are less than they ordered. The organization should investigate whether this is a deliberate action by the sales department or a problem with the packaging department. Some accounting offices may make excessive adjusting entries in the books of accounts as a way of covering some of the money misappropriated in the past. For example, some of these adjustments may include customer adjustments that significantly affect the financial results during a specific period. Making excessive adjustments without particular purposes points to cases of employees’ fraud with the intention of hiding certain transactions. Any adjusting entries in the financial accounts should be accompanied by corresponding notes explaining the reasons for the adjustments. Employees ought to live within their means, by buying assets and services that are within their income. However, some employees may change their lifestyle abruptly by spending more than their paycheck allows. The purchases can be expensive cars, houses, and luxury goods. Sometimes, the employee’s lifestyle may exceed that of their superior. Any abrupt changes in the employee’s lifestyle without a proportionate increase in their incomes should be investigated to see if there is a probability that the individual is involved in fraud. During the hiring process, an organization should conduct background checks to see if potential employees have a history of debts in their previous organizations. When a company hires employees with debt problems, there is a likelihood that they will find opportunities to get extra income above their salary to pay debts. It may mean engaging in opportunistic fraud with the intention of obtaining money that they are not entitled to. Some employees may continuously engage in gambling as a way of getting quick cash to meet some of their needs. However, in gambling, the participants must be willing to lose and gain as they gamble on future events such as football matches or casino games. Due to the addictive nature of gambling, the employee’s income may be insufficient to finance their gambling activities and may be forced to do anything to earn extra income. It may mean engaging in fraudulent activities such as stealing the organization’s assets, manipulating inventory, making extraordinary claims, etc. Identifying employees involved in gambling and helping them get out of the behavior can help the company reduce incidences of fraud while helping them manage their finances. 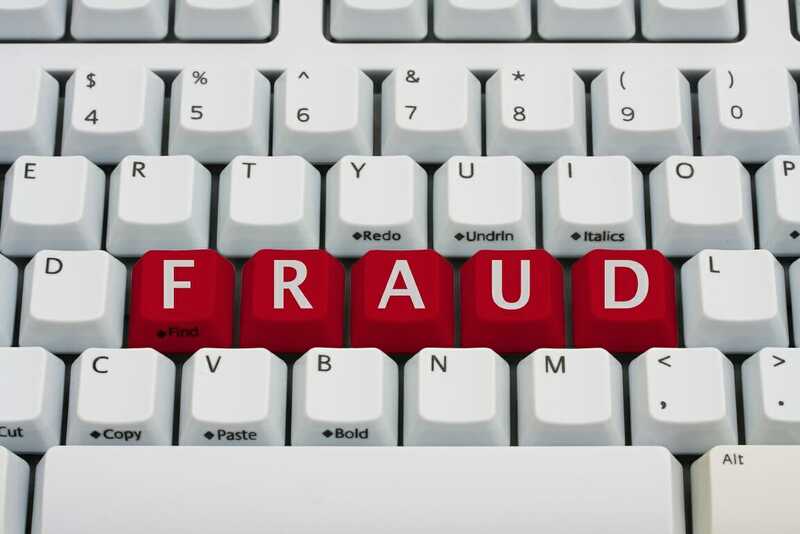 Every organization, including those with the most stringent rules, are at risk for fraud. To prevent fraud from happening, organizations must first acknowledge that fraud exists and create awareness among the stakeholders. Organizations should start by training their employees on how to detect fraud at work. They should also implement policies and procedures that will help them seal the loopholes used by fraudsters to conduct their activities.